Home / IVR development services / How IVR transforms the quality of customer experience? Customer experience is essential in current competitive climate as customers will shift to another brand if their experience related to customer support is poor. In fact, Harris Interactive reported that 89 percent of customers went to another firm after receiving bad customer experience. Therefore, companies must focus on streamlining IVR to give best time to their customers. The interactive voice response (IVR) accounts for 27 percent of total call experience, as reported by the firm JD Power & Associates. This fact sheds light on the importance of IVR in the customer care department. Companies constantly work on improving the quality of IVR system to exceed the expectations of callers. IVR can be defined as automated customer support through phone in which customers input their query through voice or keypad and receive automated voice response from other end. Here are some of the features and benefits, which reflect how the IVR systems can transform the quality of customer experience. Providing support through personalized message is what a customer expects when he/she contacts a brand. By utilizing the caller ID information of the customer, IVR can be customized to create personalized greetings. 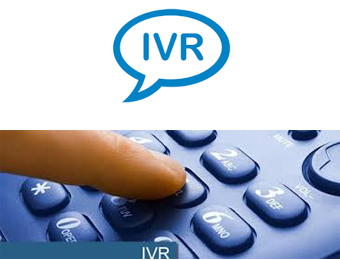 IVR can also be programmed to wish the customers if it is his/her birthday. This will immensely improve the experience of the customers. While contacting a firm through IVR system, customers can receive information related to upcoming sales and discount offers from the brand. Information related to personalized discounts can be included by companies through the support of firms offering IVR development services. This will help the customers in saving a lot of money while shopping from the brand. On the other hand, this strategic move will increase the sales of the brand. Several companies choose to provide customer support by employing agents for limited hours of the day (8-12 hours). But through an IVR system, customer support can be offered round the clock for the whole year without any break. As a result, the image of the brand will be magnified in the mind of the customers. There is possibility that some of the customer support agents start feeling exhausted during the second half of the shift. As a result, some of them may not be able to give their best shot while interacting with the customers (especially when call volume is high). On the other hand, being an automatic system, the quality of IVR remains constant throughout the day, which ensures that experience of the customers is not deteriorated. Several customers do not prefer sharing their information or experience with a human agent. This segment of customers can rely on IVR systems to get their issues resolved without making any contact with human representative from the company. The firm Gartner reported that by the year 2020, consumers will handle 95 percent of relationship with an organization without contacting any human agent. Busy customers do not like waiting on call while making a contact through phone with a brand. Excessive waiting time may furiate the customers and they will develop a negative image for the company. To avoid these scenarios, companies can design effective IVR menus that are able to resolve multiple queries of the customers automatically. This helps the companies in overcoming the challenge of long queues related to customer care. Offering support through well-designed IVR or proficient agents is first part of the customer support. Receiving feedback of the support through customer satisfaction surveys is next major part, which gives a reality check related to experience offered to the customers. You can design outbound IVR through which customers can provide the ratings related to different parameters of the service. Surveys through IVR are also appreciated by customers as it gives assurance that the brand cares about them. Several renowned call centers implement call routing in their customer support process to enhance the quality of their support. In this process, the information of customer is collected by the IVR system. This information is then used to designate most appropriate customer support representative. It ensures that customers receive optimum service without any hassle. All these points reflect how IVR is capable of transferring an average firm into respected organization if used effectively. Vcall Global is a customer support services provider that offers IVR development services in combination with call center processes.